Jack Lynch is truly a “Marine’s Marine.” He has over twenty years infantry service, and is a veteran of the Panama invasion, the first Gulf War, and the Iraq War. He was twice decorated for valor in Iraq, including winning the Bronze Star with “V” (for valor) device. Lynch, a master small-unit tactician and leader, also possesses military and geopolitical knowledge well above that normally found in an enlisted man and many officers. 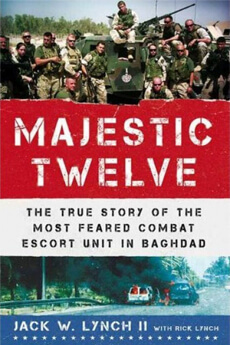 Lynch wrote about his Iraq experiences in the Majestic Twelve, a harrowing account of fighting an enemy his superiors often preferred to let get away, and other units ran in fear from, rather than stand their ground. 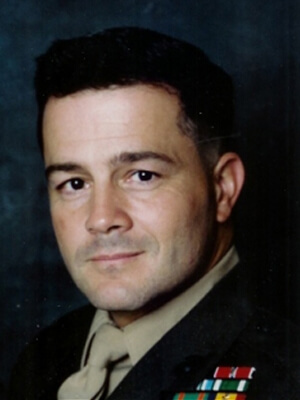 Lynch retired from the Marine Corps in September 2005 and since his retirement he has worked as a Senior Operations Advisor for a small Virginia-based company. In that capacity he has had multiple deployments to Iraq, Kuwait, Germany and Italy.